Urban Herriges & Sons, Inc. is proud to announce that one of their projects won two awards in 2014. Each year, M Magazine sponsors their Reader’s Choice Award for the Wisconsin Remodeler of the Year Awards. 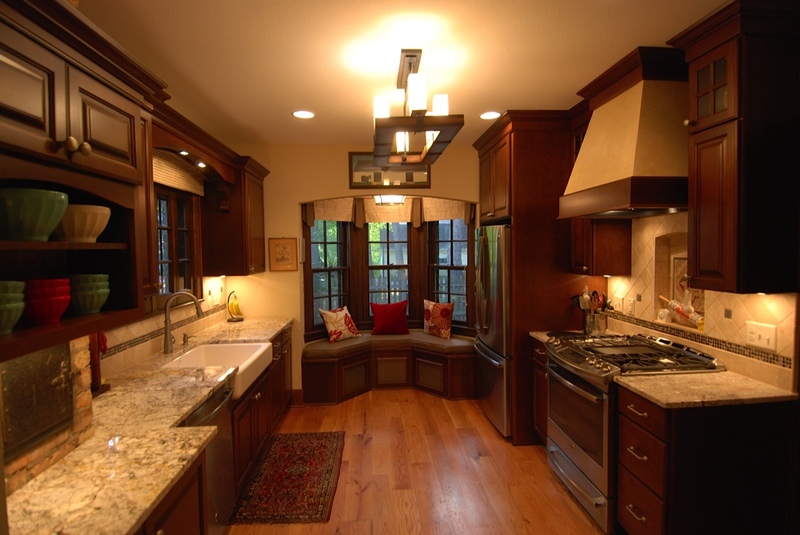 In 2014, Urban Herriges & Sons, Inc. won the Reader’s Choice Award for best Kitchen $60,000 – $100,000. This wonderful kitchen also won a Silver Award in the 2014 Wisconsin Remodeler of the Year competition. The 1929 Tudor style home featured the detail and craftsmanship common to the era, but the existing kitchen was cramped. 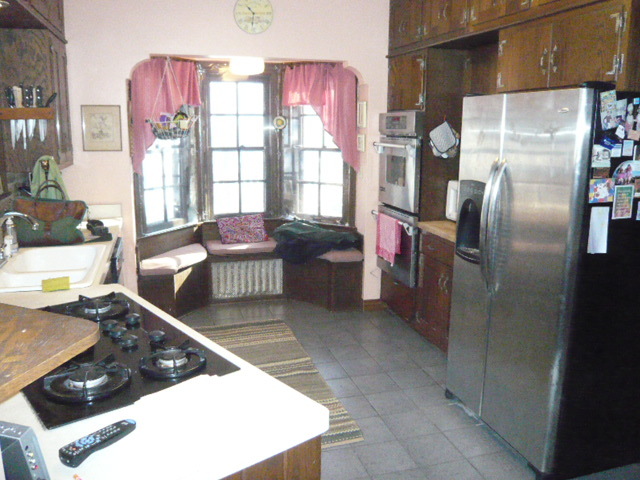 The remodel sought more storage, a better functioning work area, and new appliances. 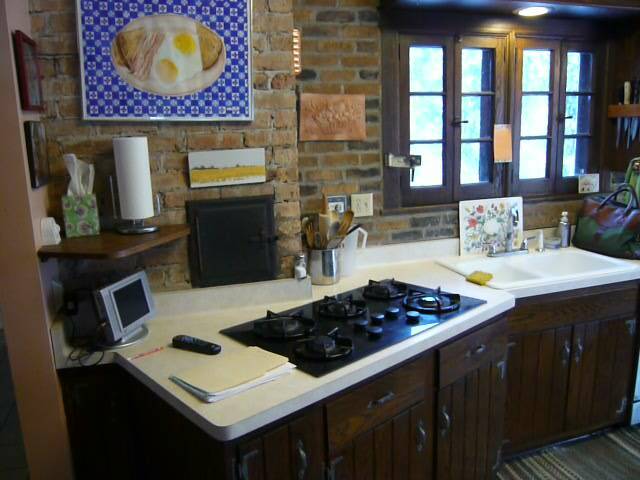 A little used broom closet was removed and replaced with upper and lower cabinets, while a 30” wide GE dual range, surround by 4 x 4 travertine tile and a glass mosaic listello, replaced the large cooktop and double oven. 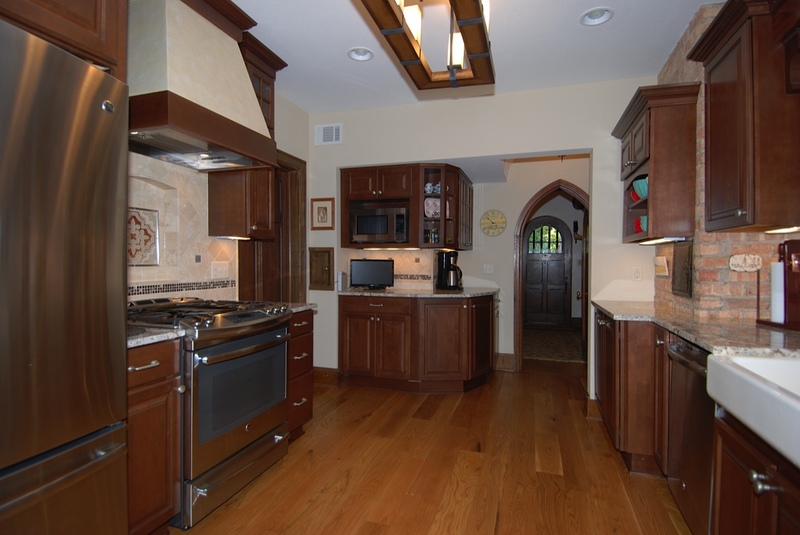 Maple cabinets with hand rubbed Harvest stain were installed, as was a custom arch and corbel feature. A new Kohler apron style sink and single handle faucet were added, as were granite countertops and white oak flooring that closely replicates the original floor.